House-Mouse Designs(R) images were taken from the Cardmaking booklet collections by Joanna Sheen. The Happy Birthday Circular die, the musical sentiment and circles are all unbranded dies. Ive placed these multi-layered cuts over a musical dry embossed background by Cuttlebug. I finished this off with silver circular bling & ribbon. 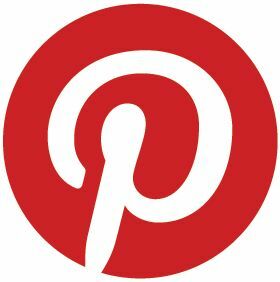 HMD is generously offering a lucky player a $20 Gift Certificate to shop at House-Mouse Designs(R) site! Eeek!! Fabulous Prizes, eh? Be sure to enter at HMFMC found HERE, for your chance to win! Thanks for stopping by. I love hearing from you and hope you'll have a great day!! Wowza, this is one terrific card. Love how you used so many circles. It just makes your card pop. Well hello there America!! Love this darling card...the colours are SO vibrant...beautifully done! I miss working with these sweet little guys...or girls...lol!! Must dig some out and ink them up! Hope you're keeping well! Your card is super cute America....lovely image and a great card design. So glad you are back crafting again. A beautiful card America, fun images and great design. I'm going to try and join in this time. What a fun design and card! Love the way you placed the images. 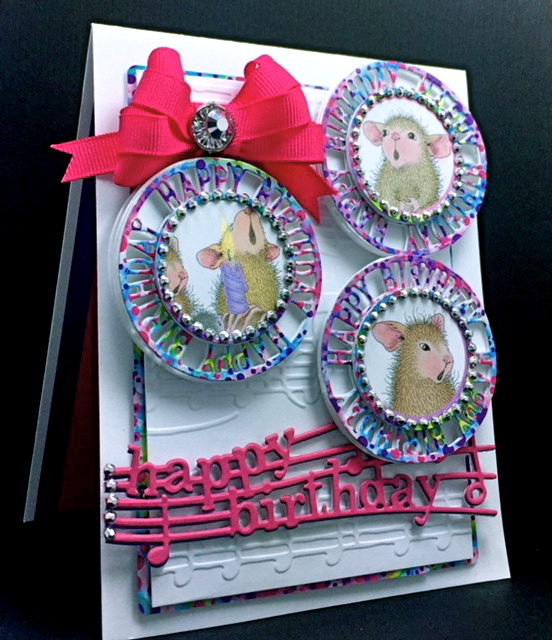 Super gorgeous mousey creation great use of the fab dies.